Nobody ever said dating was easy. Dating is hard work, and that’s just the smooth relationships. A toxic relationship is extremely difficult to deal with and it can be very draining. But knowing that you’re in a toxic relationship can make all the difference and be the first step towards your healing process. As a Dating sites review Expert, I can tell you that just because you love someone it doesn’t mean they’re the right person for you. If your partner is causing you distress, it might be time to do something about it. Here are some ways to know that you’re in a toxic relationship. There are several key things to look out for if you suspect you might be involved in a toxic relationship. These can include constant rowing over small issues or jealousy and trust Issues. Even worse is when the other person is constantly putting you down or making you feel like you aren’t good enough. This is bullying and it’s completely unacceptable behaviour. Spending time in an unhealthy relationship on a daily basis will naturally start to make you unwell and angry. It wears you down. You'll have unresolved issues that will start to eat away at you and it can make you deeply unhappy. 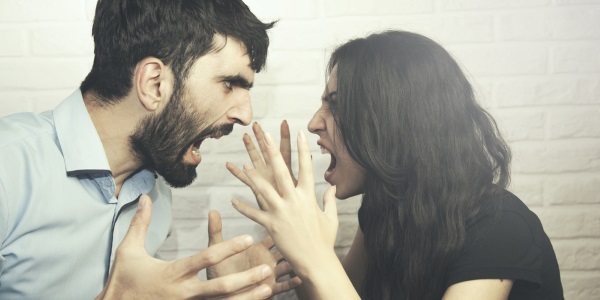 To make things worse, instead of dealing with your issues in a healthy way, you may start to resent your partner and take your frustration out on them. And this does not help either of you. Also, seeing you so upset is going to cause your partner pain, too. This will become a vicious circle, one that’s very hard to escape. I often see clients who tell me how awful their relationship with their partner is, but they are scared to leave. That’s usually because they fear being single again or living on their own. So they make excuses for the bad treatment they are receiving and even blame themselves. If you fit into this category, it can end up completely destroying your confidence and self worth. The things you think about most will shape your life. If you are unhappy and in a negative environment, you'll take on these characteristics. If you find this is happening to you then you have to consider the long term effect it’s going to have if you keep on going the way you are. No matter how much you might love your partner, nobody is worth you destroying your health and peace of mind. You should definitely not stay with someone because you’re afraid to be alone. You will meet someone who treats you better. Someone who treats you with love and respect. It’s easy to find new dates nowadays, especially with so many online dating sites and opportunities to meet new people. Once you get out of a toxic relationship you’ll become stronger, happier, more confident and will never look back. I promise!